Co-Optimus - News - Six Days in Fallujah = Six Years in Development? Six Days in Fallujah = Six Years in Development? Relax, folks, I'm only joking. Six years is a long time for a development cycle...usually. So far, we have too little information or material on the third-person shooter Six Days in Fallujah to really care very much about it. We know that the developers are using somewhat controversial methods for research and that co-op will be included in some form...beyond that, the game's only claim to fame is that it's been in the news too many times for a title that doesn't even have a publisher anymore. Following initial outcries, publisher Konami dropped the game from their roster. Too little too late, Atomic Games CEO Peter Tamte insisted that the game is relevant to current culture. GamePolitics continuted the public scrutiny by presenting some very valid questions with a cocked eyebrow: questions such as, "Why would Atomic consult with insurgents (if they actually did)? Whether such consultations took place or were simply hype, why would Atomic think this would be a positive thing to announce?" On June 11th, Kotaku captured a video clip wherein the mother of a soldier killed in action presented her viewpoint to Fox and Friends; this would be the first time that a news network has picked up the controversy. 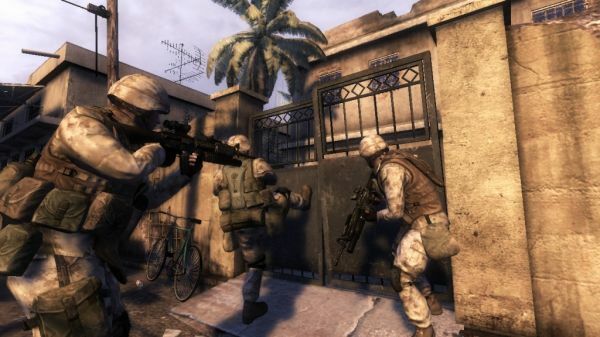 However, since developer Atomic Games has announced its intention to continue work on the project, don't expect Six Days in Fallujah to fall off of the radar. Like a determined, well-armored grunt surviving a roadside ambush, Six Days in Fallujah presses on! We'll be watching with piqued interest to see if this co-op title reaches retailers anytime soon, and if it does so among the rain of controversy that it has called down upon itself. What About Six Days In Fallujah?